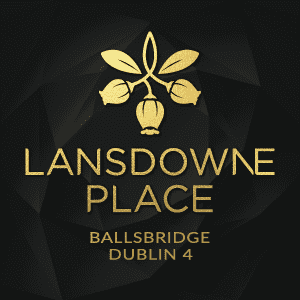 As the Marketing Suite Manager for Lansdowne Place, the state of the art Ballsbridge residential development due to open its doors later this year. Jeanette Jordan knows that client satisfaction is at the heart of any transaction. I started my career in shopping centres back when marketing wasn’t really a job title! I was at several shopping centres around town before moving to Dundrum, which was one of the most prestigious places to work at the time. I loved every minute of the 16 years I was there (pre-opening to 2017), so when Chartered Land, who developed the centre proposed doing something different with them, I was completely on board. Joe O’Reilly is a real visionary and when he told me that his aim for Lansdowne Place was to create a development that would be for residential what Dundrum is for retail, I knew it would be pretty special. My days start at 5:30am every morning. I do some yoga and have my breakfast and then drive the hour into Ballsbridge from my home in Wicklow. I use this time to catch up on work calls, and then it’s all go once I arrive. Besides meeting prospective buyers and our agents, who are in to view the show apartments in the marketing suite, I am also heavily involved in helping Chartered Land to deliver what will be a state-of-the-art residential amenity facility later this year when our first residents will begin to move in. ‘Get up, get made up and get out to face the world’ is what a good friend once told me, and it’s the best advice I’ve ever received. I try to take each day as it comes – some days are all about meeting the viewers while others I’m meeting our purchasers to run through the palette colour choice for their apartments. Or I might be seeking out the very best of services and staff from the locality as our preferred operators who will work with our 24-hour concierge and team when the amenity space opens its doors for the first time. It’s an extremely varied role but I love being busy! I usually finish up at about 6pm and then try to switch off for the evening. I’m a real people person: I love meeting people, talking to them, and finding common ground. Irish people love to talk about property, and Lansdowne Place is a really different product as it has so many shapes, sizes and prices to suit different pockets and lifestyles. As a result, I get to meet a wide age profile of people from a variety of backgrounds; everyone from our more mature downsizers to our busy out-of-town executives looking for a Dublin home as their city base when here on business. Some of our purchasers in Ireland are now like friends rather than clients and they’ll often just pop in for a coffee and a chat. I think they enjoy relaxing in the show apartments and getting just a little taste of what life might be like when they move into their new home – I’m looking forward to all the housewarming invitations! I totally endorse a work-life balance but honestly when I am in work I want to love it. If I didn’t love this job I wouldn’t be successful at it. If you don’t love something, it’s not for you. To any young woman starting out in her career today, I would say, “If you don’t believe in yourself, no-one else will.” Have a vision of where you want to be, hold fast to that vision and when things get really challenging remember the final outcome and not the current situation. And if you don’t know what to do, do something. I’d also say that honesty, sincerity and the ability to say, “Oops, I made a mistake” go a long way. Jeanette can’t live without… My Longchamp tote bag. It’s always with me; in the car, on holidays, in the office… It holds all the things that I can’t carry in my handbag.